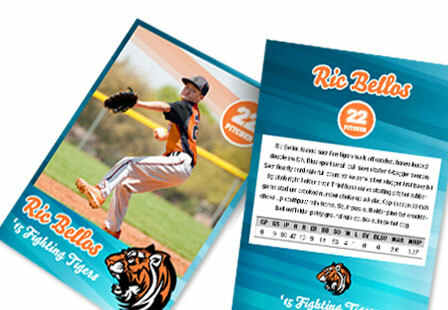 Heighten your custom trading cards by adding Spot UV to your card design to create a unique and one-of-a-kind look. We apply a clear Glossy UV coating to selected areas of the trading card design. These areas can include a photo, graphic pattern, text, image or logo to create highlights, contrast, and dimension. Silk trading cards are excellent for giving out to family and friends. They are also great for businesses of any size looking for a unique and creative marketing tool. Printed on 2.5" x 3.5" card stock with the option to print on the front or both sides. Attract new fans and customers with trading cards.